A big weekend just passed: it was a public holiday Monday and so we headed off for a more regional trial. The day before, however, we met up with Penny and her crew and drove around some hills looking for campsites. Everything was muddy, wet and boggy, and very full of motorbiking people, so we went south into the Strezleki Ranges area, almost got bogged, towed Penny’s van up a slippery hill, and came to stop and set up camp at a great little spot about 30 minutes from the trial. Prime. Wishing we’d brought more alcohol post-towing-adventure, we built a campfire, tied Lumen up and ate bananas and chocolate and other sweet things until we felt ill.
Next morning was the trial, so we were up bright and early, snagged ourselves a good spot and began. 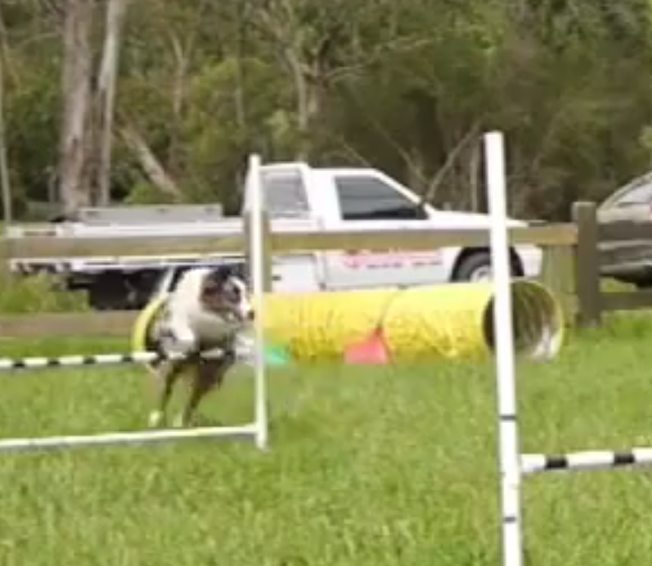 Lu’s first run was excellent jumping – a course that had HEAPS of tunnel discriminations and threadle-arms into tunnels… I haven’t included the video of that one in the compilation below because something happened at the startline and she stood up, turned around and sniffed. This is so unusual for her- either she smelled Penny, or a dog had peed there recently (and being hormonal, this could be a high likelihood)… but anyway, when she looked back up, I released her and she crashed into the first bar and maybe hurt her toe or something, so the whole run was a bit off (though she did the tricky bits just fine) and not at ‘competition speed’… It was much more back to her old ‘training speed’ before Polona’s class. Then we pulled out some really cool agility runs. I need to get much better at cuing a pinwheel turn earlier for her. Send and go!!! I’m still lingering too long to make sure she takes the bar but I suppose it’s a balancing act between pulling her off (being a baby dog) and giving her enough information. I need to do lots of just straight-exit RCs because her stride has shortened a LOT… And look, it’s probably competition, too, I know she needs to get up her confidence and that her striding will come with time and confidence and more trialling, but I also feel that she’s lost some of her reach and confidence because of the turns we were doing. I think that just doing straight exits for the next few sessions will help though, too. Unfortunately I really set back my calf healing process during the last run of the day (if you watch me closely on the last run you’ll see me hobbling) so we both get a bit of a break unless I can convince Anne (whose field I use to train on) to help me… somehow. I just don’t want to have to do RC with me being static, I think she needs to know that if I’m stopped, it’s a deceleration cue and she shouldn’t ignore that and drive forward to the tunnel without me. So training RC with me standing isn’t the best idea. I still need to work out my timing with front-crosses. There’s one on the video where I crowded her and all she could do was come over to the wrong side of me because she was confused. Poor Bean. Need to do more weave practise. 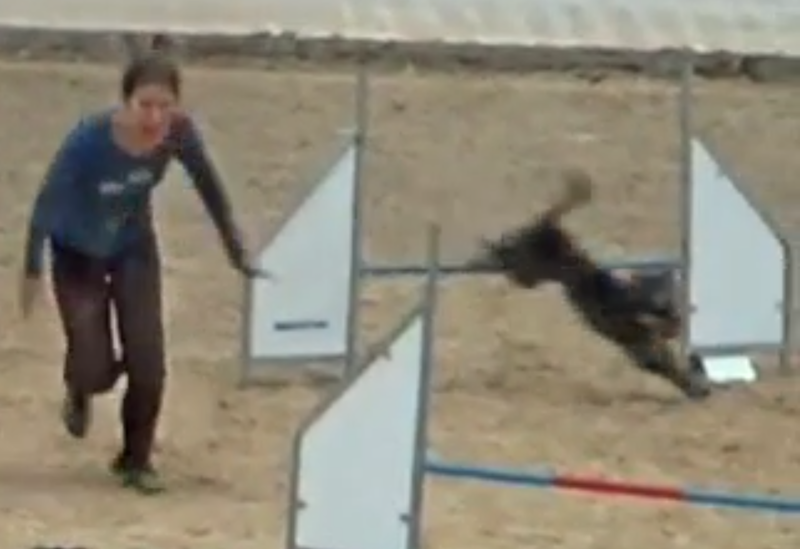 For some reasons he got a bit tangled up in the weaves during open agility which cost her a pass and considering how broken I was that was so annoying – I thought she went through clear. I don’t think it was necessarily because I did anything, I think it’s because she’s only been weaving for what, 2 months? And just got a bit tangled. 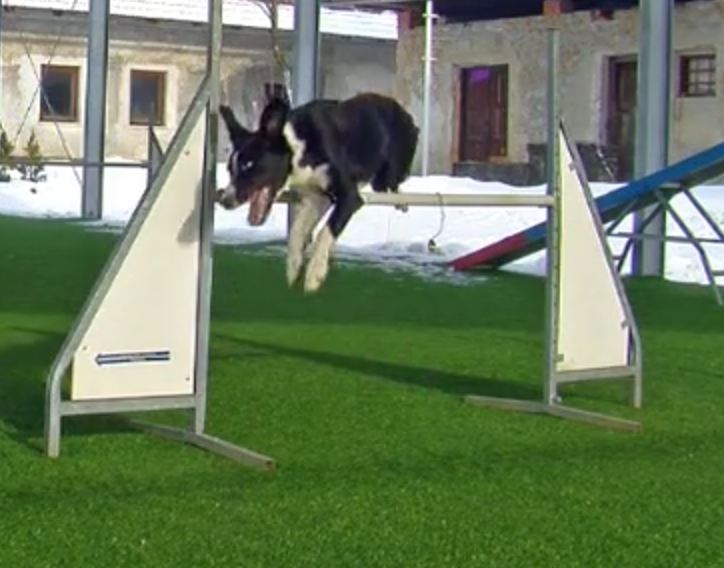 On another agility course she was finding it tricky to get her rhythm so definitely seems like something to practise. I have a lot of work to do to be able to predict her speed and timing of my turns- rear-crosses in particular. One rear-cross I did really badly because I forgot that I’m usually more ahead of her than I think I will be… and I’d planned to rear-cross her into weaves but said (out loud, too!) that if I had beaten her to the weaves, that I would cross her at the top instead, I wasn’t going to stand at the weaves and wait for her and then cross. Sure enough, I got there first so resorted to my backup plan. Need to remember to do that for all times I plan a rear-cross because I’m often ahead of her. I need to go back to doing multi wraps and sends to cik/cap. She seems to have lost a lot of her turning ability since we took the Foundations class for the 2nd time OR since she had her long break after the surgery (or both). 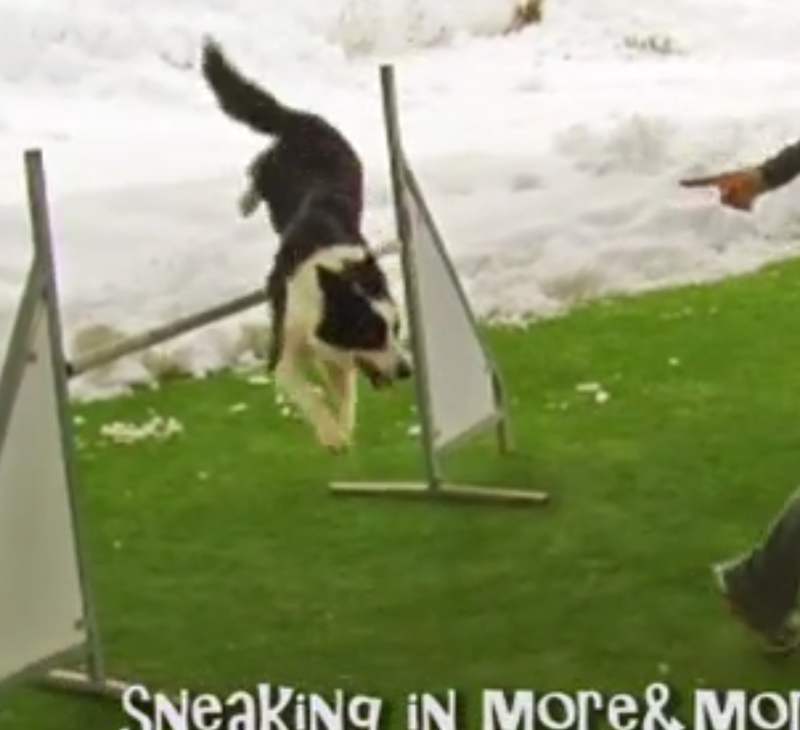 She seems to want to slice the jump and then turn, not turn in the air, even when we’re just doing little things at home and I’m making sure I’m being SUPER obvious with my cues. I’ve put a little sequence of pictures just below to show you what I mean. It’s a good example, I think, because in OMD world, I would be saying “we’re going back over there!” and I don’t know if I could have cued it earlier… Maybe I could have! Maybe she’s just forgotten how to wrap. Coming up to the bar I wanted her to collect on, and giving her a cue already – if you consider ‘chest laser points’ and feet, etc, I’m pretty much saying that we’re NOT slicing this bar, I’d say. Landing from the slice… Still not saying we’re going that way. And I think this is why she ended up on the wrong side of me. I’d anticipate that she’d wrap it like she’s meant to… she sliced it instead and ended up way out wide. Otherwise, I was so pleased with her. Given I thought that we’d be going home after the agility run if she was running like she did in the very first go, she picked up and ran beautifully. Her A-frame contacts are so awesome now, I just love being able to trust her to just do them and I can’t wait for her dog walk to ‘settle’ into a routine, to get back to the long and low striding.. I miss being able to trust her to just do them. I guess I’ll just have to wait and see how much is ‘trial stuff’ and how much is ‘having done turns training’ stuff. So. The video below shows Lumen punching me in the groin with her nose. That was fun times. Then the video below this shows a little sequence (nothing much, really) using some extension jumping and one tok (beautiful!!) and one cik (good, but not as great as the tok). With some nice Lumen speed and no weird jumps and throwing herself into the curved tunnels. Yay! After this one, I’d done too many and got LOTS of weird jumps on the next sequence. Should have quit, but I only realised how many little goes we’d had after watching the video. Bad me. She still looks like she tucks her legs up under her too soon but maybe that’s because the bar is still quite low for her so it’s basically a slightly higher stride? Which is fine! Because it means she’s finding it nice and easy. Apart from the last go, she didn’t even do any weird ones out of a tunnel today, so that was cool, too. I’ve started using all the rabbits at the field to my advantage as she seems to need to chase them away before she isn’t super distracted by them… so I’ve started walking over to the paddock with her – off lead. She seems to be understanding really well that if I say “uh-uh”, she’s not allowed to go get them… then I said “OK GO!!! !” and she can go run. I’m hoping that later this translates to being able to walk around with rabbits nearby and she won’t go chase them without being given the signal, OR I can say “uh-uh” and she won’t go chase them. The fact that she doesn’t take off the INSTANT she sees them despite being off-lead is actually really surprising and really promising. Also I’m picking up my dogwalk tomorrow. YAY!! Hopefully by Monday it’ll be all rubberised and ready to go. We also hiked about 20km in the last week and a half, the dogs and I. It’s been lovely. 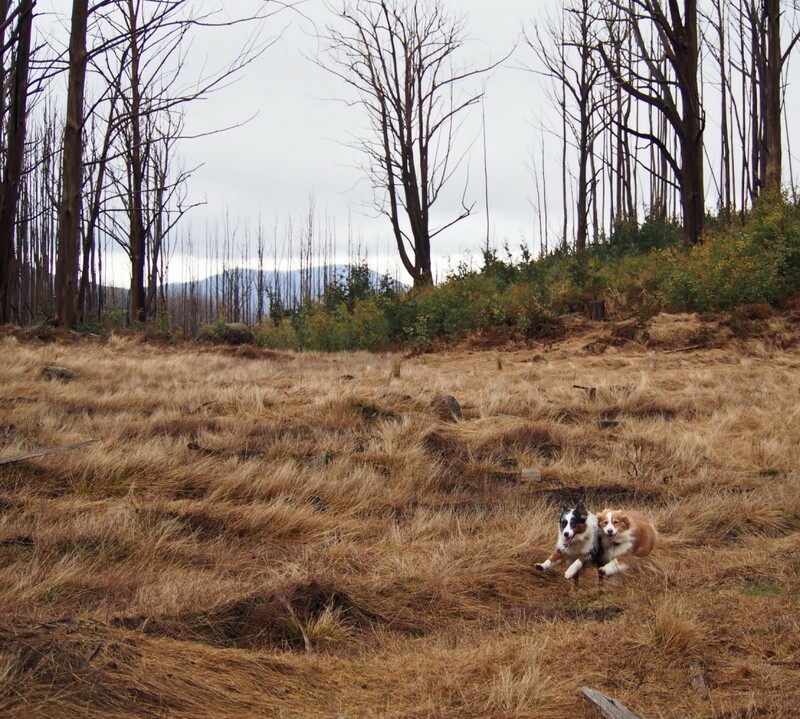 Yesterday we did just over 6km with about 3/4 of the distance off-track in the bush. Lu was exhausted. It was wonderful. Just a quick one for your Friday (a bit early, I know). I’ve decided that because Lu needs breaks while we’re out training that I might as well muck around with Mallei’s contacts and weaves. So I’m training him RC cos even if it doesn’t work it’s not like we’re trialling anyway, so who cares, and his weaves because frankly, his entries always sucked, he was completely reliant on me, and he usually popped out at #10. If I end up putting him back in competitions when I’m trialling Lu, it’d be really, really nice to have awesome weaves and awesome contacts. In any case, he’s such a sweet, fun, awesome dog. I don’t realise sometimes how hard I’m working with Lu. Mal is just so eager to please- to a fault. He’s a much softer dog. Say “oops!” and he’ll get all sad and mopey like you yelled at him or something… BUT… everything is done with such enthusiasm! Run off this plank!? OK!!!! Do these weaves!? OK!!! Go in the tunnel!? YAYYYY! Did you say ready? I’m ready! I am! I am! Now! Now! I’m ready!!! Ok, so he’s had 8 years of experience at this game but it’s just so nice to not have to try and ‘rev him up’ the way I do with Lu… and to do the weaves? Food in a bowl. And he dives in and sprints down the channel. Love my boy. So here’s a video of his running contacts from tonight – I’ve begun angling it with him and he’s coping really, really well. Now I have to get some bigger blocks or something to put underneath and possibly fix up the other plank so he doesn’t have to leap onto the down plank. Lu is doing ok… I’ve been familiarising her with the plank by doing some free-shaping on it so she realises she won’t fall to her death if she steps off it (seriously, it was that bad) and running her over the wider carpet on top of the plank… Tonight it was half wide carpet and half narrower plank and she coped pretty well, so there’s hope for her yet. And then there’s a little sequence I made up which I was quite pleased with. It included more static wraps than extension to collection stuff, and some nice work for her having to avoid going out and around like a serpentine on the bars, but actually come in between them. This was a bit of work actually, so it’s a good thing to have practised! She wasn’t moving today – possibly she works best if I neglect her that morning and only do tricks training, no walk, and then leave her at home instead of coming to school, and then go straight to the field when I get home. Might try it tomorrow. Hey! I made a video tonight! Unfortunately you can’t get the best sense of the angles into the weaves but they do get progressively more difficult – I’m so proud of my girl… AND… a pretty much straight line serp in both directions! Whoo hoo!!! !